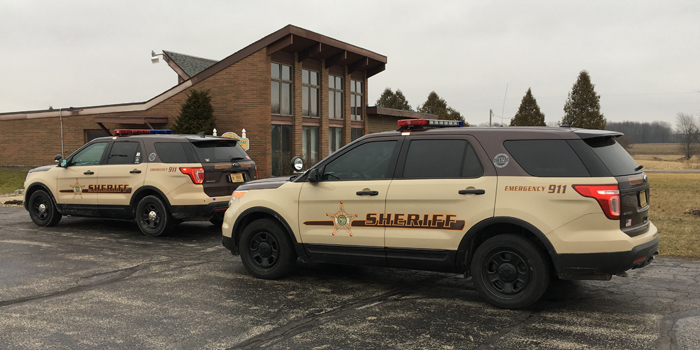 Kosciusko County Sheriff’s Office vehicles converge on the administration offices of Tippecanoe Valley School Corporation. 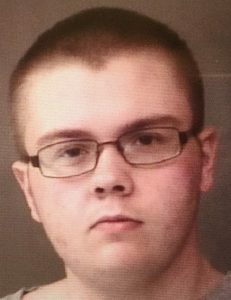 AKRON — A Silver Lake teenager is being held at the Kosciusko County Jail on what authorities say is a prosecutorial hold after allegedly posing a threat to do harm at Tippecanoe Valley High School. David Edward Helton, 18, 4789 W 950 S, Silver Lake, was arrested Monday, Feb. 4 for disorderly conduct. According to press releases from both the Kosciusko County Sheriff’s Office and the Tippecanoe Valley School Corporation, the possible threat was first revealed in communication between sheriff’s officials from Fulton County to Kosciusko County. The Fulton County officials alerted Kosciusko County personnel at approximately 9 p.m. As a result of the information received, deputies proceeded to Helton’s rural Silver Lake home. Neither the KCSO nor TVSC have released details regarding the alleged threat. Both organizations have touted the early information received for thwarting the alleged threat and have called on all citizens to be diligent in reporting such threats. “If you hear or see anything related to the safety of our school children, contact law enforcement and/or school officials immediately,” said Sheriff Kyle P. Dukes. The KCSO reported that a meeting was conducted with TVSC administrators early Tuesday morning, Feb. 5, where it was determined that the threat had been neutralized.